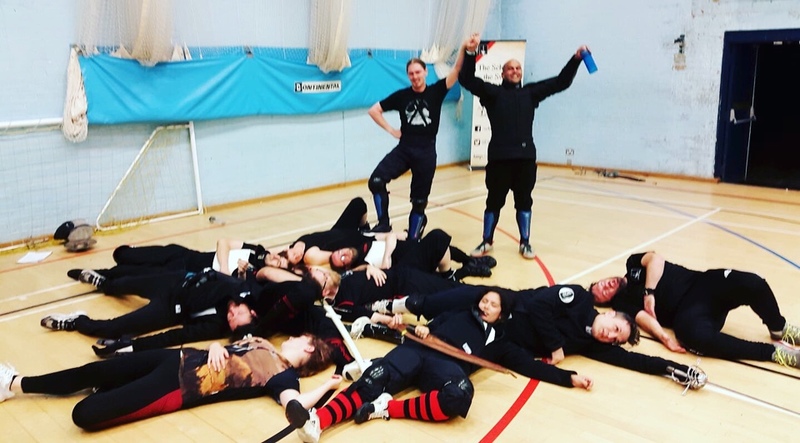 Several of our beginners in Godalming have levelled up to full membership recently. 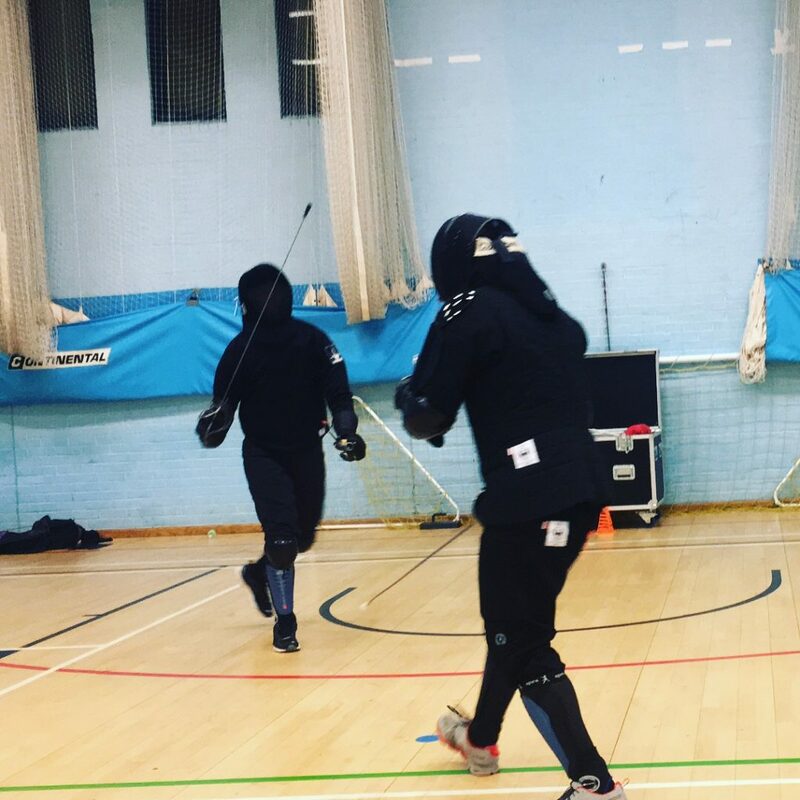 After taking their safety tests and being cleared for sparring, they can now attend all classes at all three sites as well as our regular sparring. 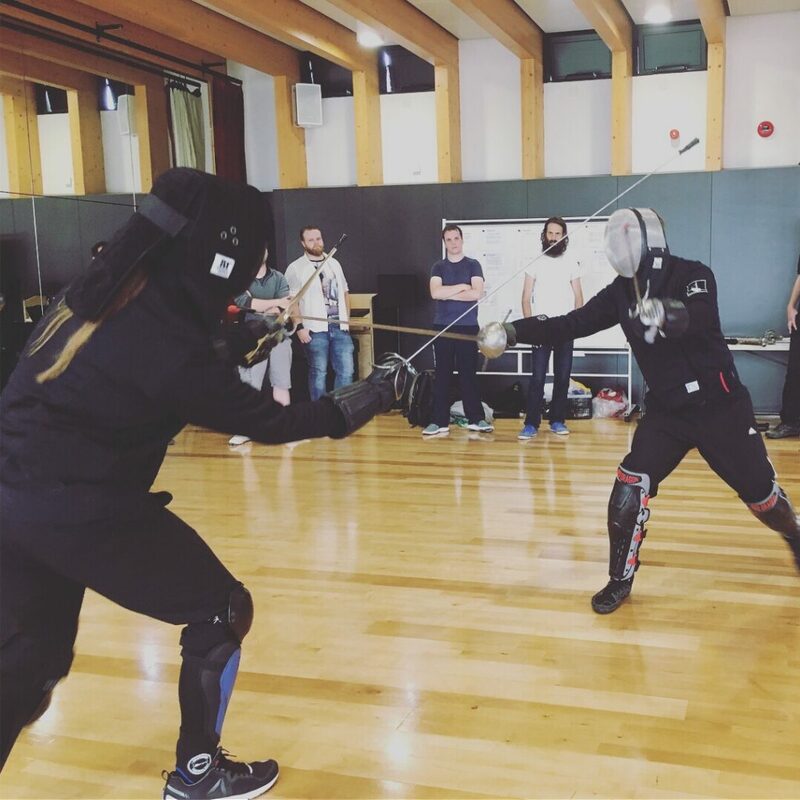 The test consists of several exercises to assess technical knowledge, skill and above all control. Congratulations to Maria, Michael, Sarah, Joshua and Sebastian! 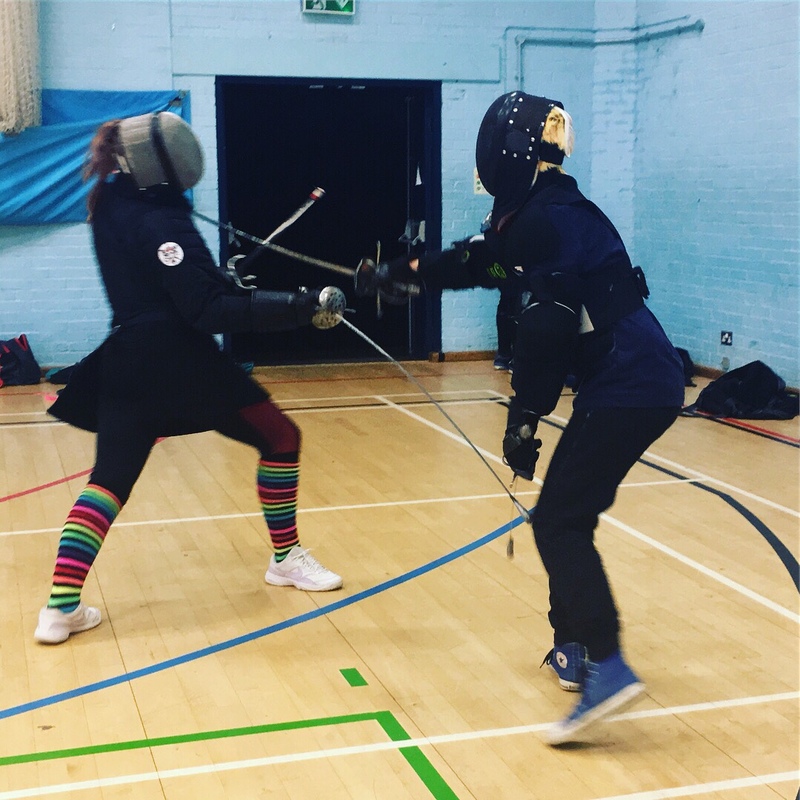 In Reading tonight we had a Rapier & dagger sparring and feedback session while the spada a due mani group practiced an assalto from Marozzo. 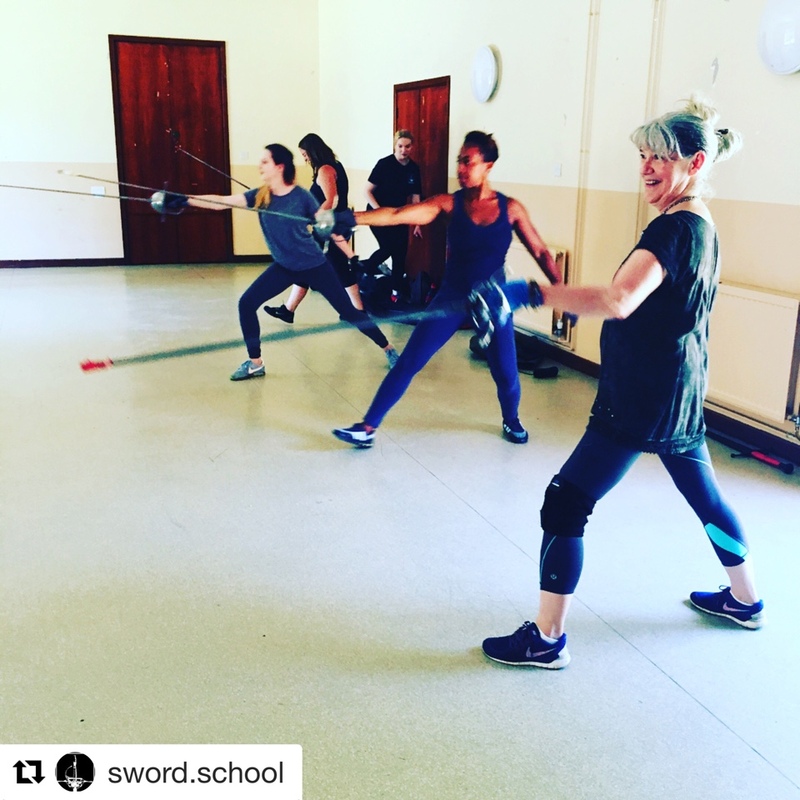 Today we held our opening of The School of the Sword Oxford, with Q&A sessions, mini classes, demonstrations and sparring. 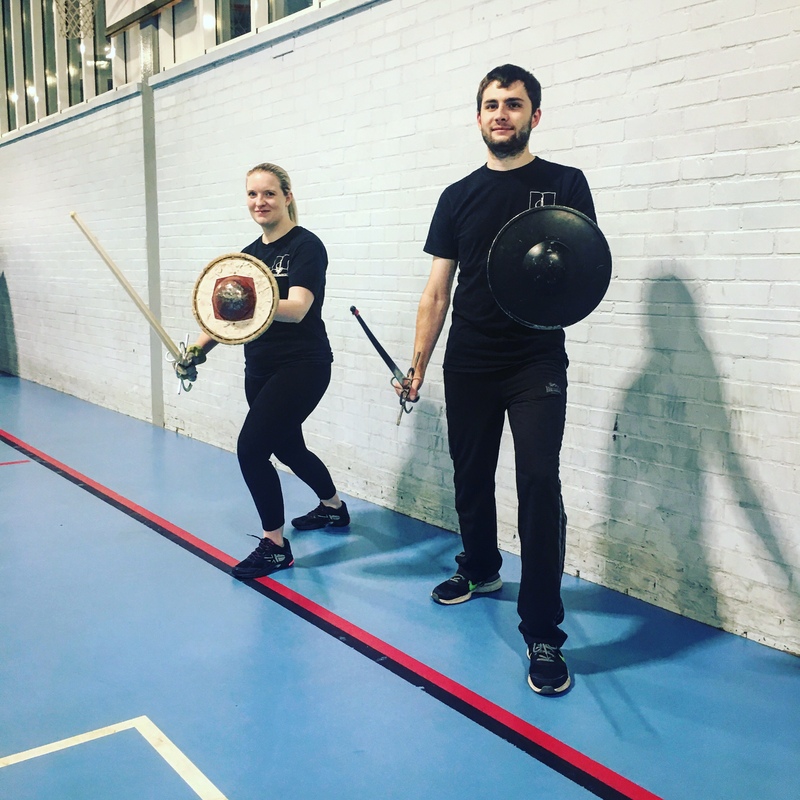 We had an enthusiastic group of newcomers to HEMA who put in a great effort, and we look forward to welcoming them to our Beginners Course. 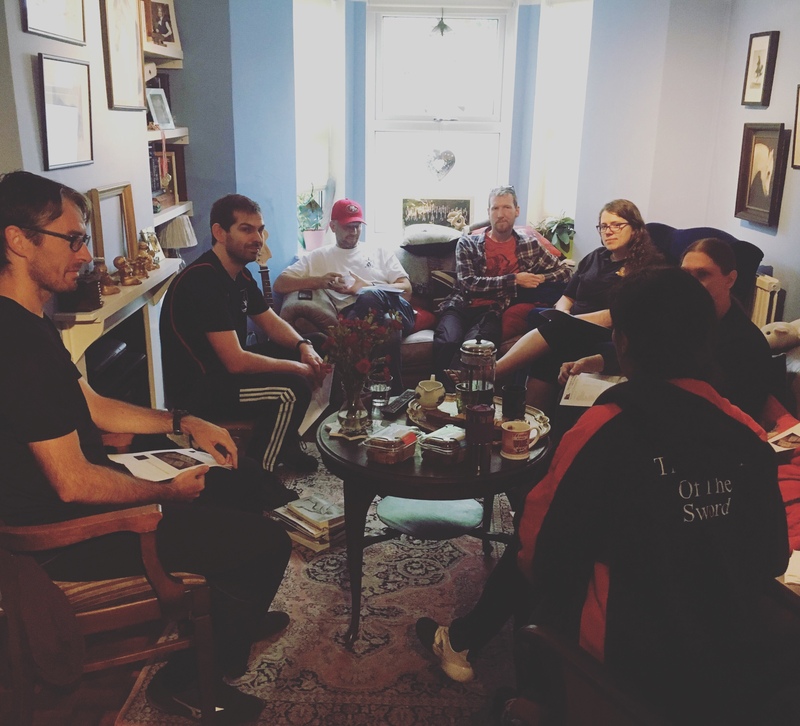 The School has always been praised for the quality of its teaching, and to maintain this level of tuition we run periodic gatherings of instructors to discuss and consolidate on teaching practices across the three sites. 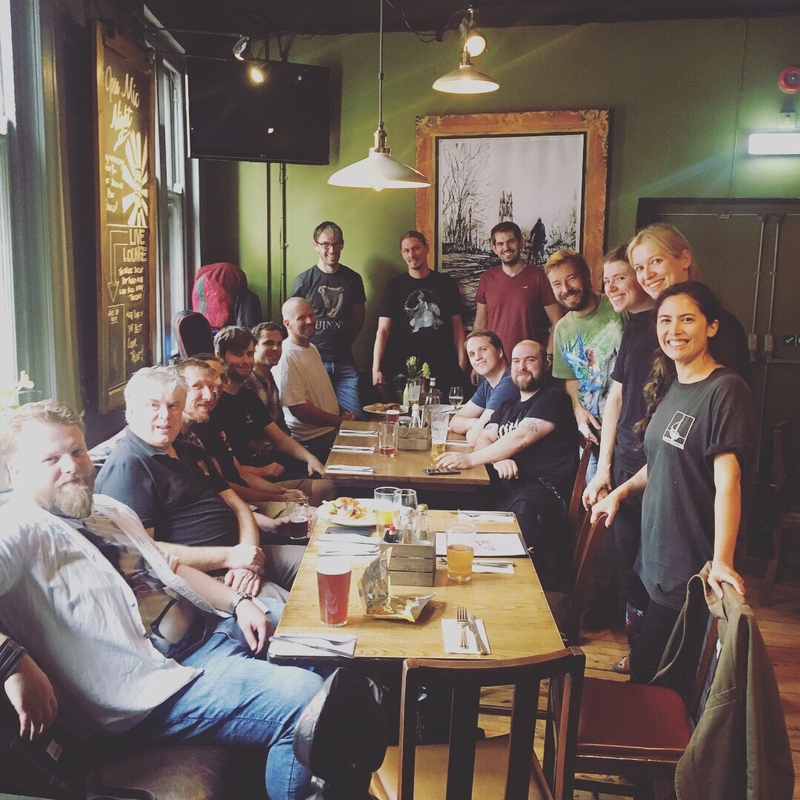 It was a very productive morning, with lots of insights and ideas shared among the senior members. 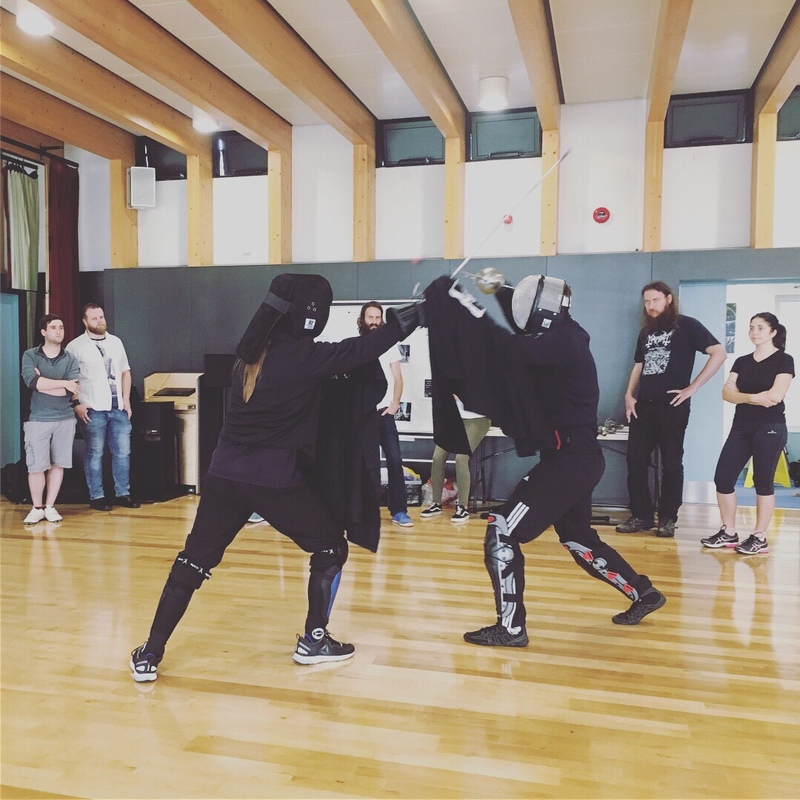 Fightcamp is the largest and longest running HEMA event in the UK, and three people from the School entered the Rapier tournament which resulted in three medals for the School! 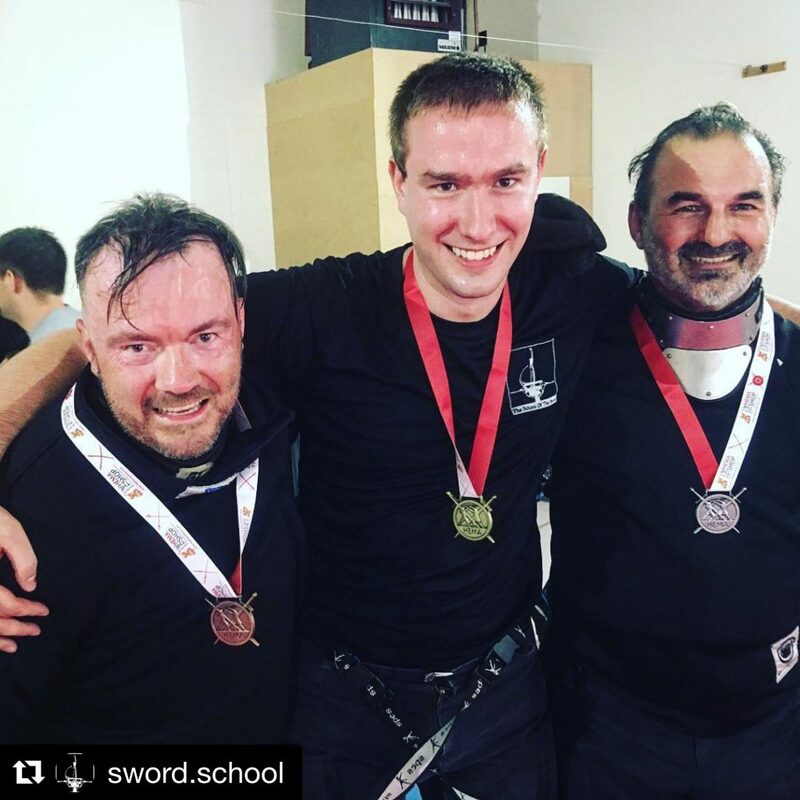 Congratulations to Adrian, Apollon and Alexander for achieving 3rd, 2nd and 1st place respectively. Alexander went on to win silver in the longsword competition, first place went to Jack Gassmann who has also taught at the School in the past. 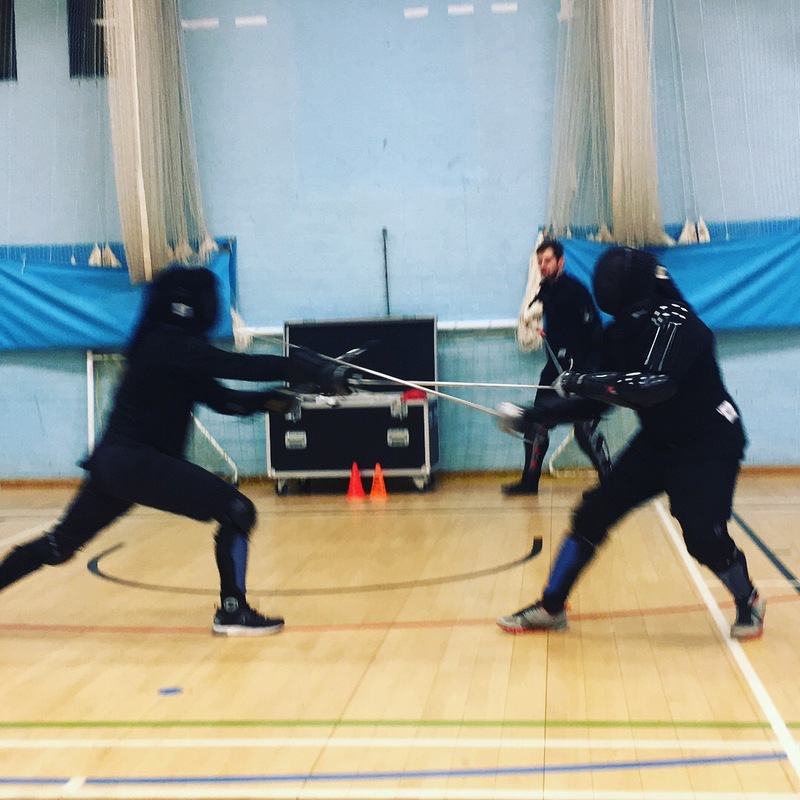 On Monday in Reading we had a very special evening full of lots of fights as Stewart and James took their Spadaccino and Laureando exams. 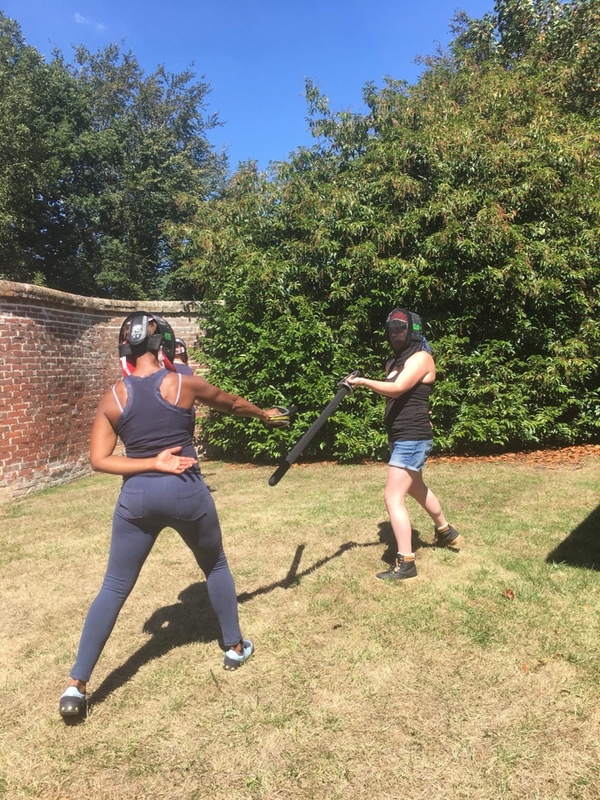 Laureando is the second exam students at the School can take after the initial safety test (to make sure they are safe to spar). This is typically after 200 hours of study and some experience of teaching others. 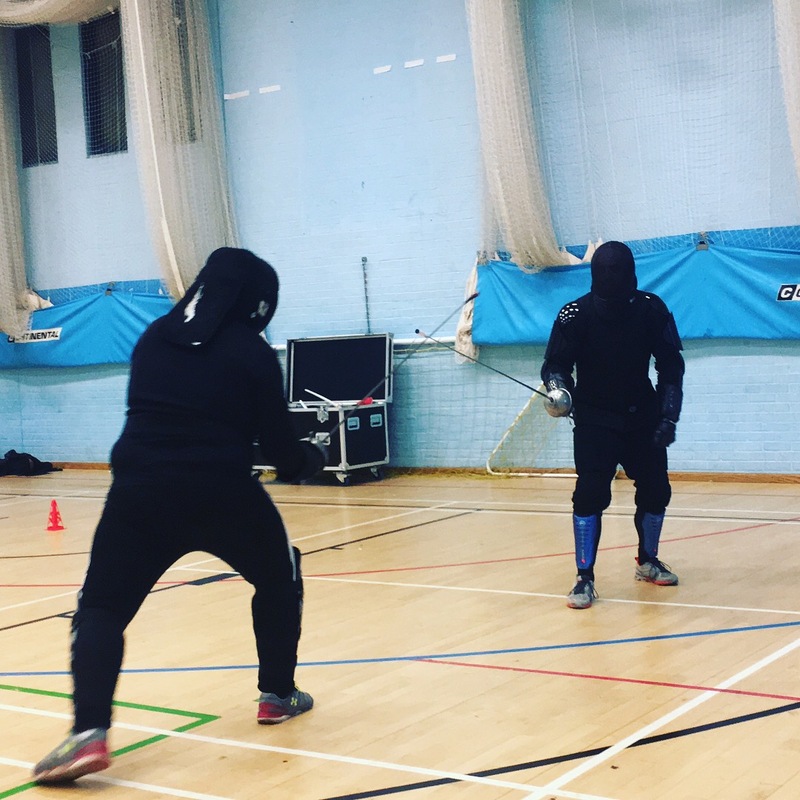 James took part in five 3-minute bouts, ending in an exchange against a weapon he hadn’t encountered before, in this case it was a katana! 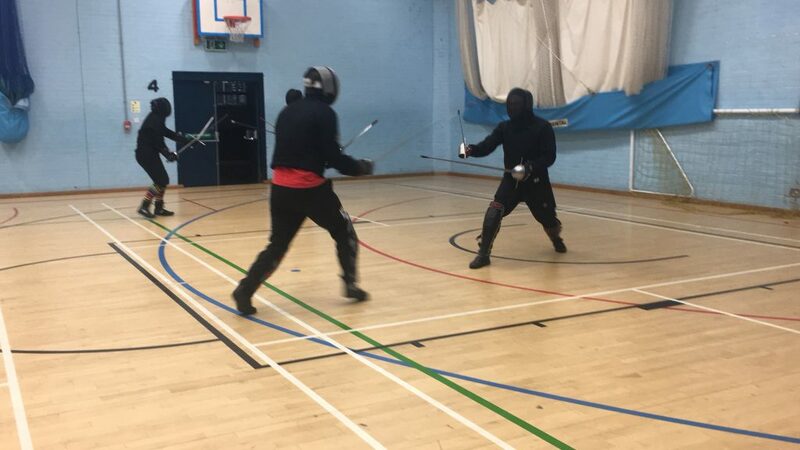 James chose sidesword and put in an impressive performance. He will also submit a written piece of research. 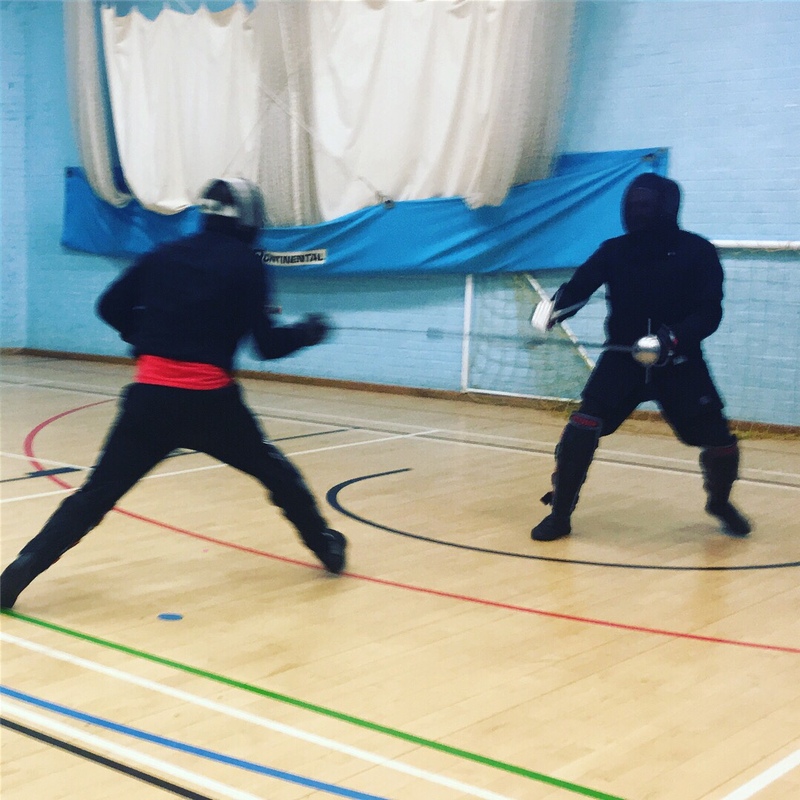 Spadaccino is the most senior rank in the school and Stewart racked up an impressive ten bouts of three minutes at a time in sword & buckler, rapier & dagger, spadone and dussack. 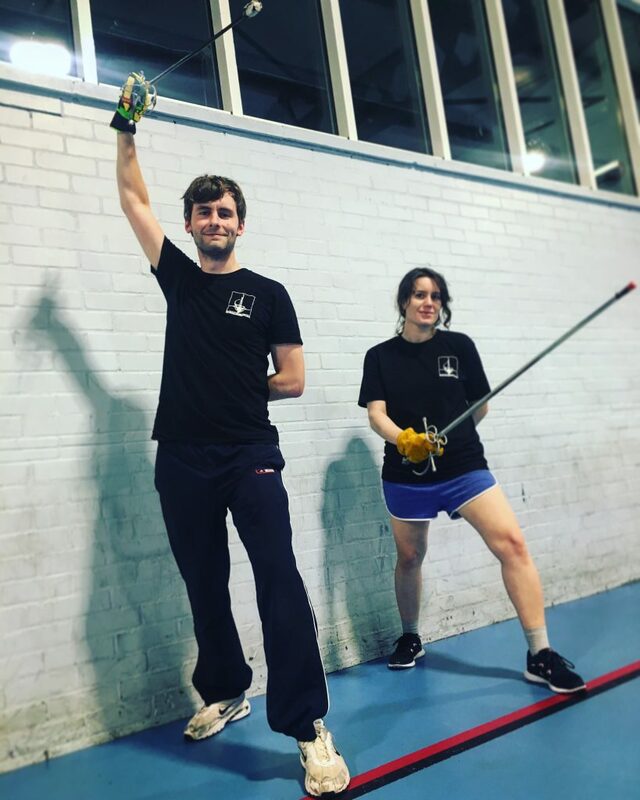 As our treasurer and with 0ver 400 hours of study and many sessions of teaching under his belt, it was time he showed us what he was made of – and on a very hot August evening he cut a swathe through all opposition and emerged victorious! 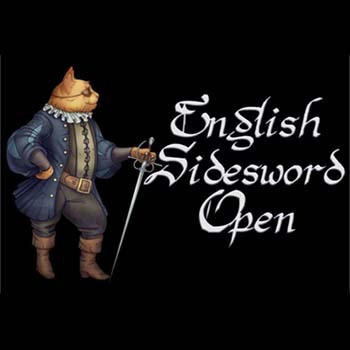 His final match was using parrying gauntlet and rapier, and he has submitted a longer written piece. Well done to both and all who helped take part in the bouts. 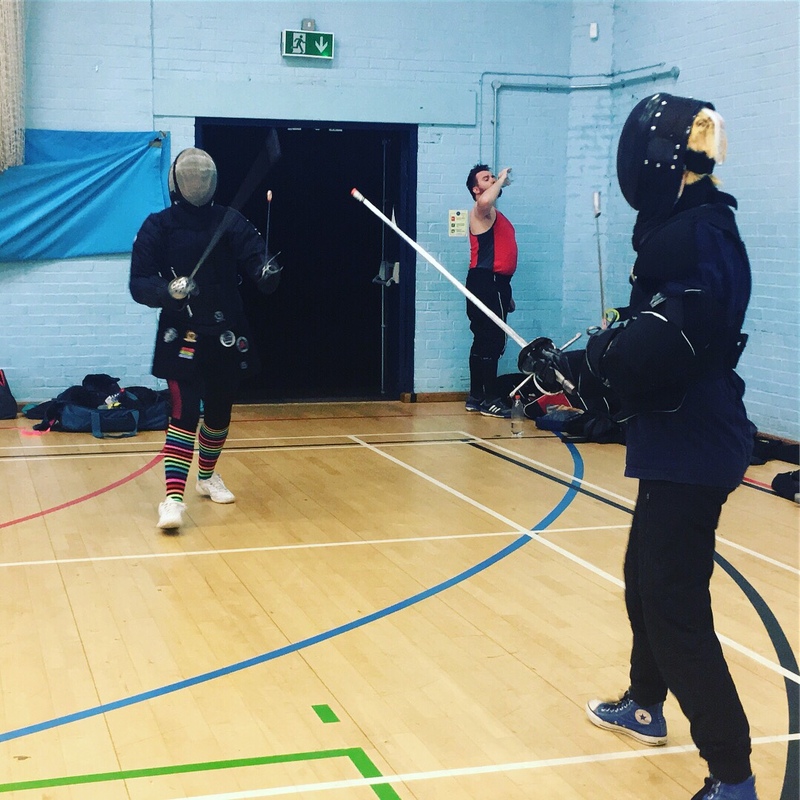 On Sunday in Godalming we held a women’s open day after sparring. 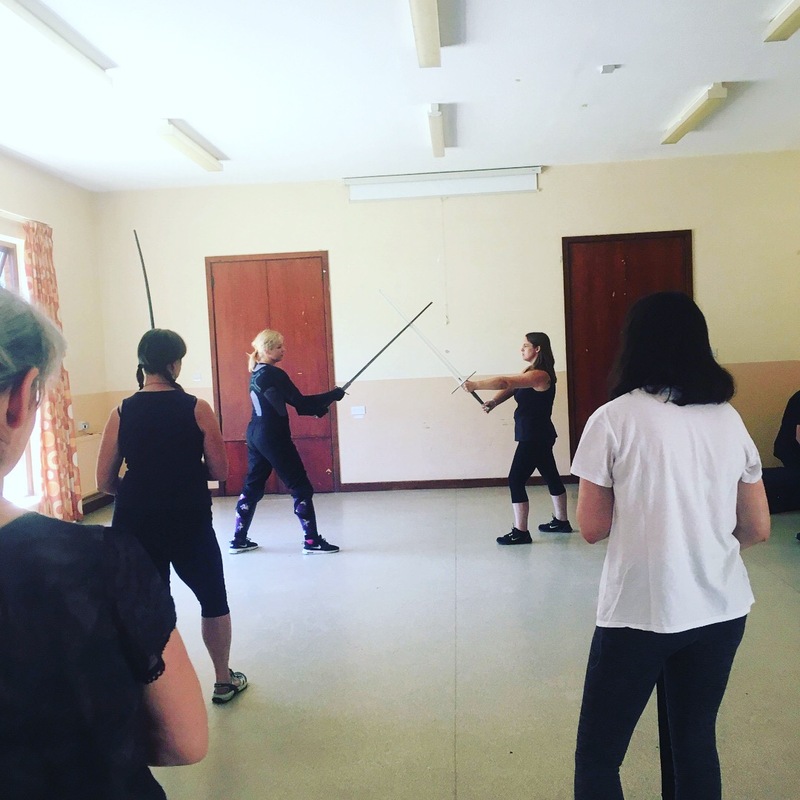 We were pleased to have a fantastic group who all did some Q&A with all our women instructors and students, took mini lessons in longsword with Emilia, sword & buckler with Fran and rapier with Masha. By the third sparring session everyone was really getting into it! We hope to see plenty of them at our beginners course in January.